The Rosa Parks of Canadian supermarket parking lots. 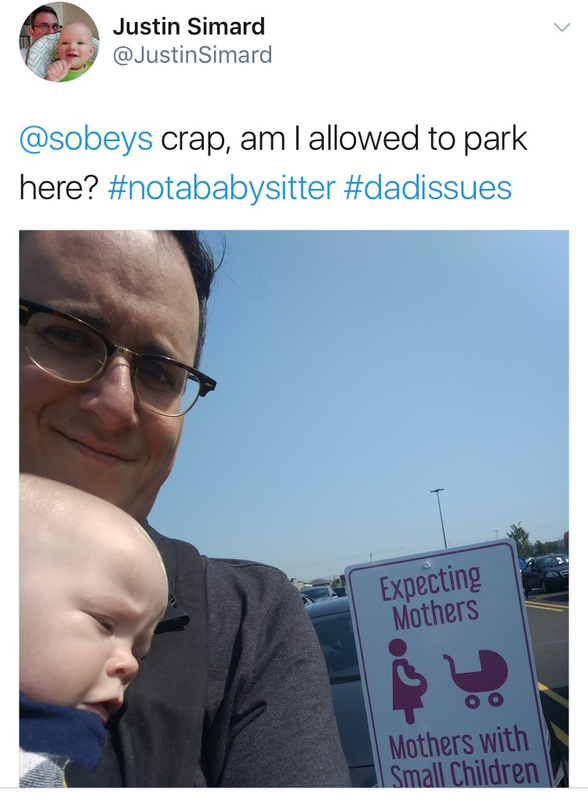 Justin Simard, an opera singer in Stratford, P.E.I., was bewildered by a sign near a Sobeys entrance that said premium spots were reserved for “Expecting Mothers” and “Mothers With Small Children.” So he complained about it on social media, and got a swift response promising changes. Simard said he was inspired to raise a ruckus after he got a dirty look from a mom for parking there—until he pulled his son out of the vehicle. 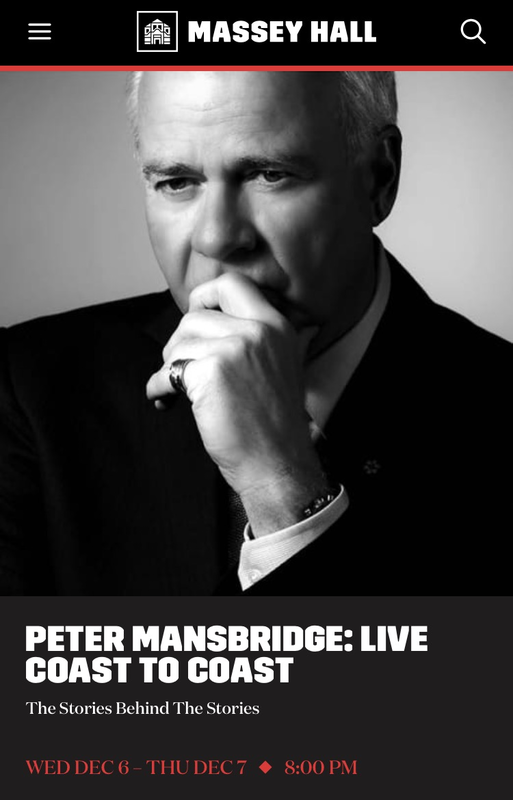 "I find it very difficult to find the words to express my profound regret for what I did that day." Hamilton judge Bernd Zabel hopped on the hot seat for a misconduct hearing about the time he wore a “Make America Great Again” cap into court. Zabel, the subject of 81 public complaints, started by explaining that he simply collects presidential memorabilia, such as a portrait of John F. Kennedy. 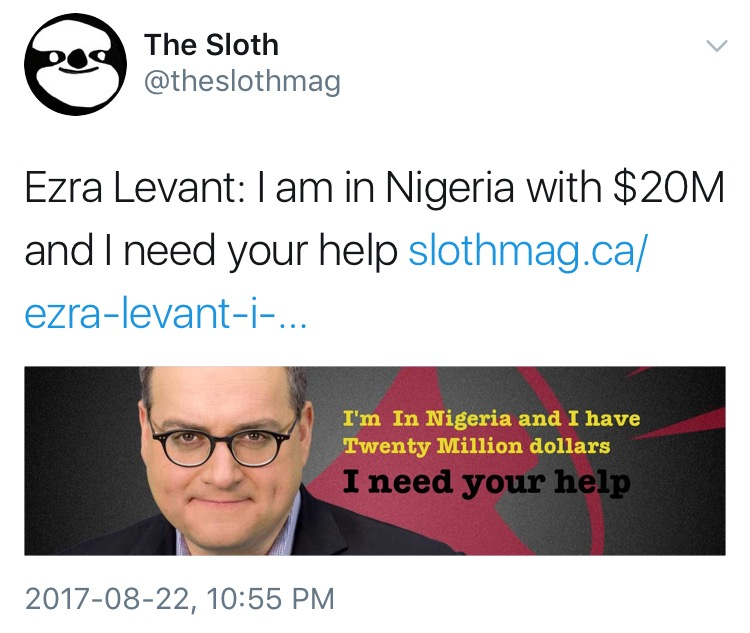 A very special episode of The Ezra Levant Show. “I’m a flawed leader who has made mistakes,” said Rebel Media's commander in a program about his recent travails. He also promised to hire more oversight. The mea culpa included charts and graphs disclosing how The Rebel's crowdfunded money was spent—although Levant didn’t get into other income sources, like the ideological funding explored by Vice News. Levant’s promised reboot hinges on getting the names and addresses of staunch supporters. After all, what’s one more ask? Susur Lee’s sons are being asked to pay staff back. Following a revelation that Susur and sons withheld tips from staffers who made mistakes (they discontinued the policy after a social media exposé), a petition is asking restaurant scions Levi and Kai-Bent Lee to cough up the forfeited cash. The frustration is tied to the fact that the brothers have never been shy about flaunting their wealth. 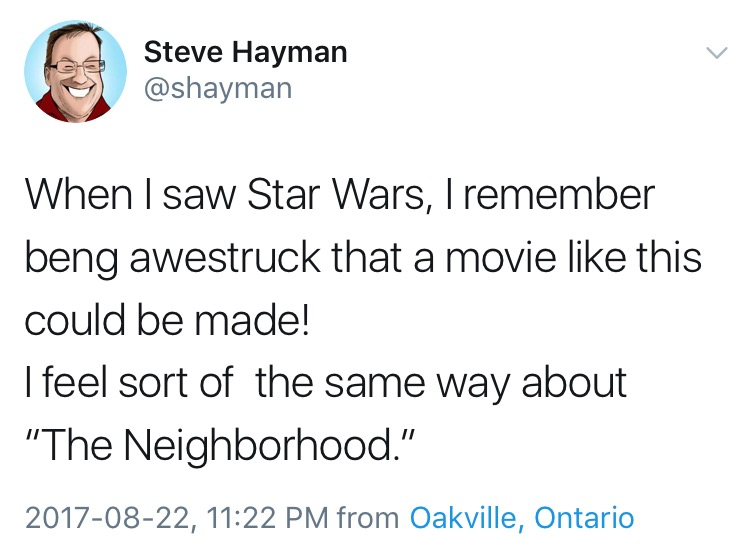 The Neighborhood’s critic blackout lets some light in. Frank D’Angelo’s new movie is being promoted in the usual ways: a 10/10 user review on IMDb, Facebook advertising under which unfavourable comments somehow always vanish, and the filmmaker posing with posters wherever he booked a screening. Meanwhile, the Toronto Star wasted ink on a clumsy effort to explain the auteur's cult status amongst “D’Angelovers.” (Even though their consensus moniker is “Fangelos.”) Several paid for a cheap Tuesday—including one suburbanite who got a private screening. Toronto’s version of the Village Voice outlived the real deal (on paper). NYC’s alt-weekly wraps a 62-year print run with Lou Reed on the front. Meanwhile, Now Magazine carries on despite turbulence that included the exit of co-founder Michael Hollett, who noted the Voice's inspiration. Canada's version of the specialty channel, whose initials stand for "Country Music Television," is about to play its last music video.